Adam Hall has extended its Cameo lighting range with six new LED-powered lighting fixtures each of which combine multiple effects into a single compact unit. Across the new range are moonflower, derby, barrel-scanner and strobe effects packed into mobile-friendly portable fixtures. 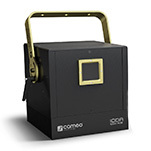 The new Cameo Serum combines derby, moonflower and strobe effects in a single 3-in-1 fixture. 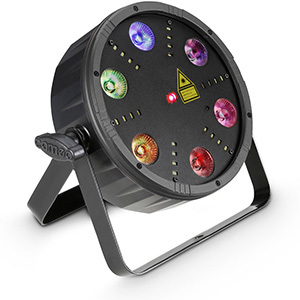 The moonflower lens is at the centre of the unit and is powered by 64 5mm LEDs (16 each of red, green, blue and white). This is then surrounded by 36 white 5mm strobe LEDs, which are then in turn framed by four sets of derby lenses. 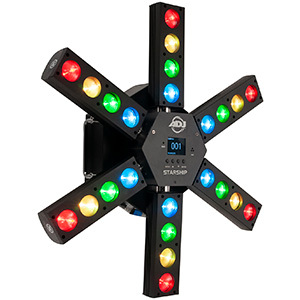 These are arranged in a square formation around the edge of the fixture and the derby part of the effect is powered by two 9-watt RGB LEDs. 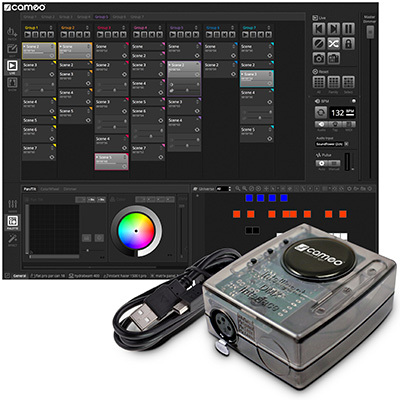 Each of the unit’s three effects can be used individually or in any desired combination, and each effect can be individually controlled in all operating modes. A total of 20 3W RGBA LEDs, each individually controllable, are arranged behind the Cameo Voodoo’s five separately angled lenses. This creates a distinctive effect that shoots thick beams of dense colour out over a wide area. This effect is then enhanced by 12 1W white strobe LEDs that are arranged in a square around the central lens. Able to run standalone, master/slave or controlled via DMX, the Voodoo is also supplied with a handheld infrared remote control. 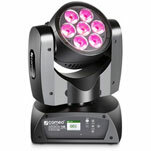 The Cameo Ara features six separately angled lenses behind which are mounted 24 3W RGBA LEDs. The resultant effect is a blaze of colour-saturated beams that fill a large area and are perfect for adding energy to a dancefloor. 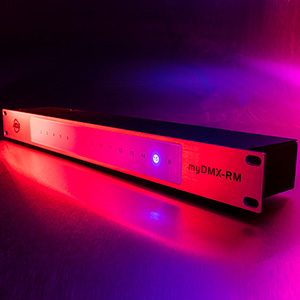 The unit offers a choice between four different DMX modes as well as standalone and master/slave operation and, again, a handheld remote control is supplied as standard. Also powered by 24 3W RGBA LEDs, the Cameo Eye-Eye is a matrix beam effect that shoots out a myriad of colourful beams over a wide area. The effect comes in a heavy duty all-metal enclosure that sports an adjustable hanging bracket and a safety eye for secure mounting as well as a 4-button display for intuitive mode selection and DMX addressing. 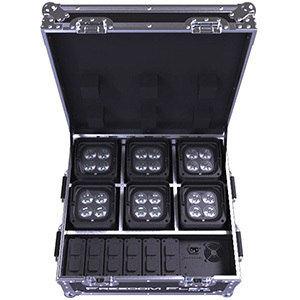 2-, 3-, 4- and 8-channel DMX modes are available, in addition to standalone and master/slave operation. 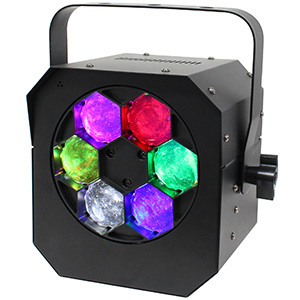 The Cameo QuadRoll 40 creates powerful moving light effects with its four mirrored barrel-scanners and 10-watt quad colour Cree LEDs. The scanners are powered by quiet-operating stepper motors, which whirl rich, sharply-focused RGBW beams throughout a room filling it with movement and colour. The final new fixture to be added to the Cameo range is the Wayfarer, another multi-lens matrix beam effect, this time sporting four lenses arranged in a wave pattern powered by 16 RGBA 3-watt LEDs. 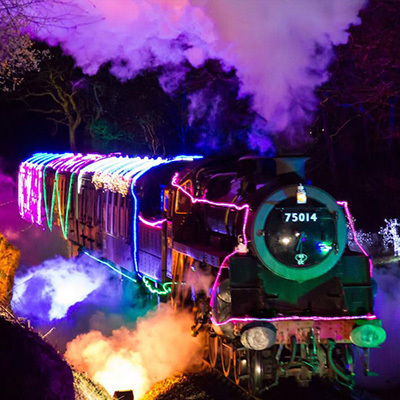 Each LED is individually controllable, allowing a rich palette of exciting colours and impressive effects to be created.